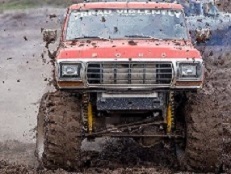 Here you will find the most complete and current information regarding the Santiam Four Wheel Drive Association and our annual Mud Fest event. Explore our site for photos, FAQ's, history, and information found only on this site. Please remember, if you don’t read it on this website posted by us, it may not be true. 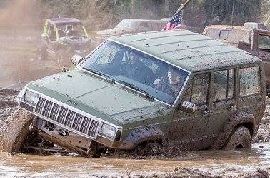 Also, we are always checking out possible Mud Fest sites. If you have or know of available property that you think would make a great future Mud Fest site, please send an email to the following address info@themud.com. In your email please include your name, contact info, & property description. 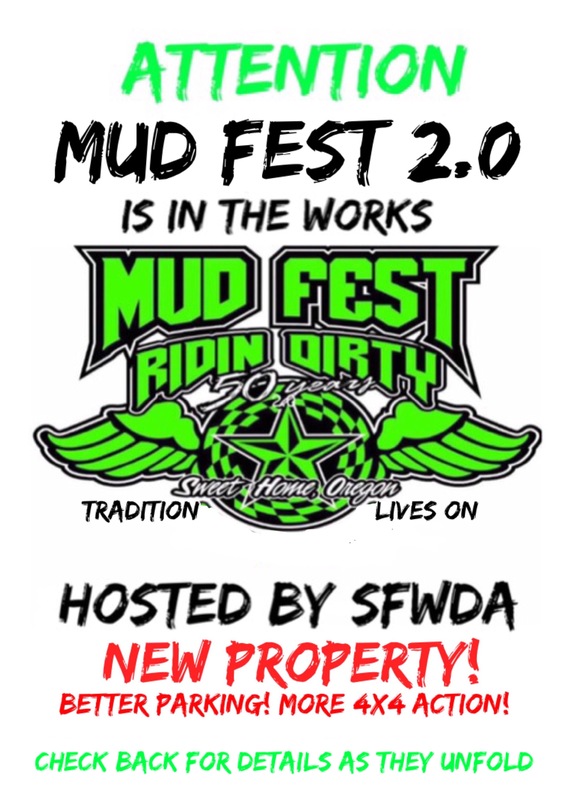 *The MUD FEST is a trade mark of the SFWDA. The SFWDA reserves exclusive rights for use of the name, event photos, video, merchandise, and logos associated with the event. Any commerical use is strictly prohibited without the express written consent of the SFWDA. Frequently Asked QuestionsCheck here before you send us a question. Related LinksOur page of recommended sites you may enjoy. DonationsSome of the many causes we suport through donations. Volunteer ActivitiesOther events we support through our time and energy.